Creating a new CPT procedure code is a significant accomplishment in today’s complex health care environment, and these codes in particular were the result of more than two years of hard work by numerous medical specialty societies to navigate the AMA CPT code development process and secure a new set of codes for MOCA procedures. How is a New CPT Code Created? The American Medical Association owns and maintains the CPT code set and updates codes through a well-defined process. A coding primer (see inset) describes the purpose, process and participants in the CPT development process. We illustrate the entire process with the new MOCA CPT codes that describe ablation of incompetent veins in the lower extremity using mechanochemical action. Why Aren’t Existing CPT Codes Good Enough? CPT code specificity is one of the cornerstones of the CPT process because physicians must be able to describe the procedures they perform in the greatest level of detail. This is done so that their coders/ billers can translate these procedures into claim forms and submit them for insurance reimbursement. When physicians incorporate new technologies into their practice and advance the standard of care, they often find that existing CPT codes do not adequately describe newly created procedures, and/or no longer fully reflect the time or work they perform, or expense to their practice to buy new technology and perform new services. It seems that a compromise would be to find CPT codes that most closely describe the newer procedure and its costs, and submit these for reimbursement. In the case of MOCA, one might consider the other CPT codes in that family (namely CPT codes 36475/36476 or 36578/36479) that describe the ablation of lower extremity vein(s) using radiofrequency or laser modalities, respectively. These codes are well-established, and arguably, could well approximate the physician work involved in catheter-based ablation methods under ultrasound guidance. However, both AMA CPT and CMS frown on this approach and guide physicians to code/bill for the new procedure with unspecified CPT codes (often referred to as “unlisted” or “not otherwise classified”). In the case of MOCA, the most appropriate unspecified CPT code has been 37799: “Unlisted vascular procedure.” As a result, office billing staff was required to submit additional documentation to describe the MOCA procedure to payers, and to convey the work described by the physician in the patient records. Unfortunately, when Medicare and other insurers try to pay claims that include unspecified CPT codes, they must revert to a manual process, which adds time, variability and subjectivity to an otherwise automated and (mostly) predictable process. This frustrates coders and physicians alike, and increases the likelihood that payers will deny claims with unspecified CPT codes. It’s not surprising then, as vein specialists started to adopt the MOCA procedure in their practices in early 2011, they demanded that their specialty medical societies would obtain new CPT codes to identify the MOCA procedure and ensure appropriate payment. Their societies responded--Society for Vascular Surgery, American Venous Forum, American College of Phlebology, and the Society for Interventional Radiology acknowledged the need, and mobilized their respective CPT Advisors to collaborate. This group drafted a request for new CPT codes, with appropriate descriptions of the codes that closely mirrored existing vein ablation codes for endovascular radiofrequency and laser-ablation, as well as patient and treatment vignettes, used to detail the typical patients and procedure steps. Veterans of the CPT development process will acknowledge that it can be lengthy and often can last two or three years. That is due in part to the rigor of the code development and valuation processes, and in part to the timelines of CMS’ payment policies and update. Luckily, the MOCA code development process was much shorter: MOCA codes were approved by CPT Editorial Panel in October of 2015, and are now effective for January 2017, or less than 18 months. This is thanks to the commitment and effort of the coalition of specialty medical societies that responded quickly to members’ evolving needs to integrate new techniques into their practices, and offer better treatment options to their patients. As described in the CPT primer, approval of the code description by the CPT editorial panel is the first of two critical steps in the CPT process. And to accomplish this first step in the MOCA example, the societies’ CPT Advisors considered similar procedure codes and ultimately mirrored the endovascular radiofrequency and laser ablation codes described earlier, in the draft wording of the MOCA ablation codes. The CPT Editorial Panel voted to add these new codes in the subsequent volume of the CPT. Physicians often consider the second step the most crucial. This is when value is assigned to the new services, thus defining the future payment for the service. This too is a lengthy and rigorous process, which is managed by another AMA committee—the Relative Value Scale Update Committee (RUC); an expert panel of physicians that makes recommendations to the government on the resources required to provide a medical service. The expert panel’s assessment takes into account physicians’ and nurses’ time, supplies and equipment involved in patient care. The RUC comprises 31 physician volunteers and more than 300 medical advisors who represent each sector of medicine, including primary care physicians and specialists. The RUC regularly reviews medical services to determine whether they are appropriate, under-, or overvalued, and volunteers its recommendations to CMS for the agency’s consideration. CMS makes all final decisions about what payments should be for each service, under the Medicare Part B program. Even though CMS is not obliged to accept the committee’s recommendations, the RUC plays a crucial role by providing the federal government input directly from doctors and frontline medical professionals about the services they perform in the course of caring for patients every day. The input of RUC doctors also helps ensure that the government adopts policies that reflect most current medical practices. As a non-physician observer of the RUC in action, one clearly sees the painstaking efforts toward fairness and equity applied by the RUC members and advisors to be able to make these payment recommendations to CMS. The result of this process is a balanced system in which doctors volunteer their highly technical, unique and hands-on expertise regarding complex medical procedures, and the government retains oversight and final decision-making authority. It is worth noting that CMS has accepted 80-100 percent of RUC recommendations each year since the beginning of the process in 1993. To set the MOCA code values, the RUC examined physicians’ work effort and time to perform similar procedures, namely endovenous radiofrequency or laser ablations – given their similar clinical purpose and execution. They compared these to the work required to complete MOCA, as described by surveyed physicians. CMS accepted these recommendations with a few adjustments, and consequently, the MOCA codes are essentially at payment parity with other ablation procedures that treat incompetent veins in the lower extremities. What's in This For the Patients? Physicians involved with CPT process expend much effort over many hours, away from their clinical practices, to advance their specialty’s medical practices. The patients are ultimately the ones who benefit the most from this. When physicians no longer worry about the added hassles and uncertainty of reimbursement for new treatments, and can relieve patients of similar worries about unexpected charges or bills, everyone can focus on the optimal care for each patient. Current Procedural Terminology (CPT) codes describe a variety of medical procedures and services, performed by doctors across the country, in a uniform coding process that streamlines reporting and increases accuracy and efficiency of claims payment by public and private insurers. Published by the American Medical Association (AMA), and authorized by the AMA Board of Trustees, the CPT codeset is maintained by the CPT Editorial Panel, which revises, updates, or modifies CPT codes, descriptors, rules and guidelines to ensure that CPT codes remain up to date and reflect the latest medical care provided to patients. In order to do this, the panel maintains an open process and convenes meetings three times per year to solicit the direct input of practicing physicians, medical device manufacturers, developers of the latest diagnostic tests and advisors from over 100 societies representing physicians and other qualified health care professionals. The panel itself comprises 17 members: 11 are physicians nominated by the national medical specialty societies and approved by the AMA Board of Trustees; remaining six physicians are nominated from each of the following: the Blue Cross and Blue Shield Association, America’s Health Insurance Plans, the American Hospital Association and CMS. The remaining two seats on the CPT Editorial Panel are reserved for members of the CPT Health Care Professionals Advisory Committee. Why aren’t the existing codes adequate? What specific descriptors are you proposing (Suggest wording for what you are proposing as well as placement of the proposed code(s) within the existing code range)? Can any existing codes be changed to include these new procedures without significantly affecting the extent of the services (If not, give reasons why the existing codes are deficient)? Give specific rationale for each code you are proposing, including a full explanation on how each proposed code differs from existing CPT codes. If a code is recommended for deletion, how should the service then be coded? How long (e.g., number of years) has this procedure/service been provided for patients? What is the frequency in which a physician or other practitioner might perform the procedure/service? What is the typical site where this procedure is performed (e.g., office, hospital, nursing facility, ambulatory or other outpatient care setting, patient’s home)? Does the procedure/service involve the use of a drug or device that requires FDA approval? All devices and drugs necessary for performance of the procedure of service have received FDA clearance or approval when such is required for performance of the procedure or service. The procedure or service is performed with frequency consistent with the intended clinical use (i.e., a service for a common condition should have high volume). The clinical efficacy of the procedure or service is documented in literature that meets the requirements set forth in the CPT code-change application. Addition of a new code or revision of existing nomenclature, in which case the change would appear in a forthcoming volume of CPT. Postponement to a future meeting (to allow submittal of additional information in a new application). Learn more about Current Procedural Terminology (CPT), codes used to bill outpatient and office procedures by visiting the website here. 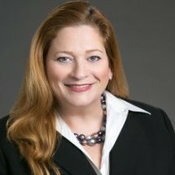 Adi Renbaum, owner of ANR Consulting, has lead national campaigns for coverage and payment of new devices among Medicare and commerical payers, and negotiated regional and national payer/provider contracts. Her experience includes hospital-based surgical devices and implants, drug/device combination products, and office-based procedures and diagnostics. She works with specialty medical societies to build physician advocacy and consensus to secure new CPT procedure codes and reimbursement for office-based procedures.